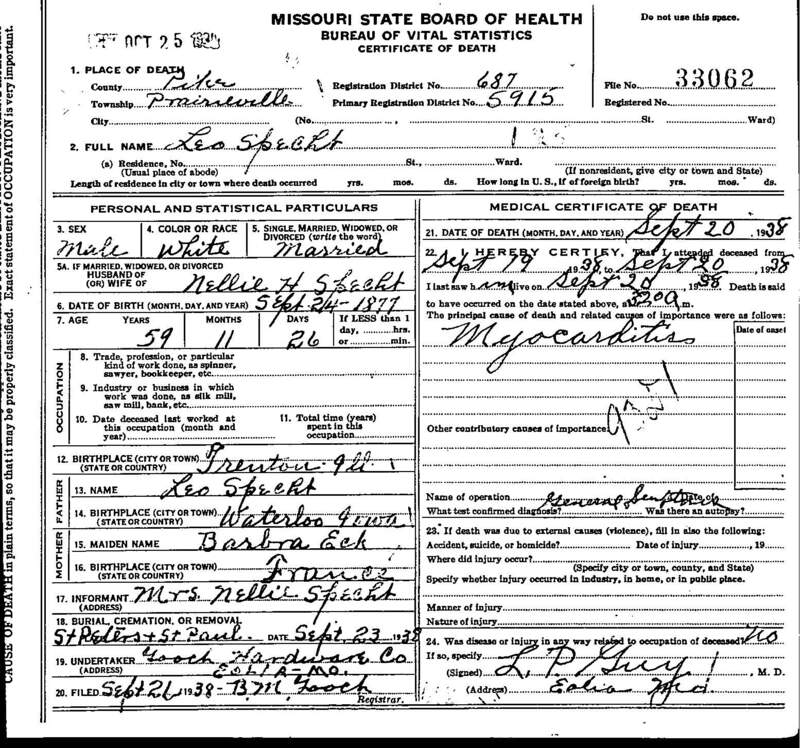 "Death Record - Leo (Jr.) Specht"
Birth location: Trenton, Clinton County, Illinois. Cause of death: Myocarditis [This is an inflammation of the myocardium, the muscular part of the heart]. Death location: Prairieville, Pike County, Missouri. Burial location: (Section: 014, Lot: 0355) Resurrection Cemetery, St. Louis City, Missouri.